If you want a high performing, unique SUV that lacks many of the traits that define the category, namely utility, the X6 may be an appropriate choice. Don’t expect a family hauler or a boat tower, the X6 is designed to be more of a personal SUV. The X6 combines excellent straight line performance with solid handling characteristics and a refreshing design, sure to set you apart from the pack. It is difficult to ascribe value to individuality. Valuation requires comparison and we think the X6 is a truly unique vehicle in an industry where companies mimic each other’s every move. The radical 4 seat coupe SUV design began with the X6 and continues to defy categorization some eight years later. Some will love it. Others will hate it. Everyone will respect it. It takes chutzpah to do things differently, and that’s what BMW did with the X6. It dared to stand out and was rewarded with sales success. In addition to uncommon design, we believe this BMW is also uncommonly reliable. Our research turned up fewer complaints than any other BMW model we’ve researched so far. We believe a combination of individuality and reliability make the X6 an attractive SUV. The sDrive35i and xDrive35i are both equipped with a twin scroll turbocharged 3 Liter inline 6 cylinder engine with valvetronic variable intake technology produces 300 hp @ 5,800rpm and 300 lb-ft of torque @ 1,200rpm. This is enough grunt to power the 4,750lb X6 to 60 mph in 5.7 seconds, manufacturer’s claim is 6 seconds. Throttle response is great and turbo lag is nearly nonexistent. Fuel economy is identical to the X5 at 18 mpg city and 24 mpg highway. If you need more power, the xDrive50i model packs a twin scroll turbocharged 4.4 liter V8 with a hell-raising 445 horsepower and 480 ft-lb of torque. BMW claims a 4.6 second 0-60 mph time for this 5,170 lb model, though we know the X5 version made the jaunt in 4.3 seconds. Since this model is little lighter and more aerodynamic, we imagine it is closer to 4.2 seconds. We think BMW may have slightly inflated their figures to provide more incentive to buy the M versions of these SUVs. Regardless of whose figure is more accurate, these SUVs are quicker than most cars on the road. The V8’s gas mileage is noticeably less at 15 mpg city and 21 mpg highway. The eight-speed automatic transmission does a great job of applying power smoothly, though we rather enjoy using the paddle shifters on the M sport models for more gratifying downshifts coming into corners. Speaking of corners, the suspension on the X6 has a more dynamic feel than the X5, reminiscent of the previous generation X5s. This is a welcome improvement and keeps the X6 relatively flat when taking turns at high speeds. The only thing separating the X6 from a sedan-like handling experience is a lack of road feel. It turns like it should when it should, and for that, we can’t fault it. We just prefer a little more feedback from the wheel when driving, like that provided by the Porsche Cayenne. However, over 250,000 units of the last generation X6 were sold worldwide which means BMW is doing something right. If you don’t need an SUV for the reasons most people buy them: second-row space and practical utility, the X6 is sure to put a smile on your face and provide an excellent “Ultimate Driving Machine” experience. Inside the X6, you’ll find quite comfortable and supportive front seats with a lower driving position than the X5 that gives it a sportier feel. The optional 20-way sport seats are fantastic and provide adjustable side bolsters that the standard seats lack, a must have for spirited driving. BMW accurately describes the X6 as a 4+1, meaning the rear center seat isn’t very useful. It isn’t, it’s barely a bump between the rear seats and is practical for a small child only. Rear seats don’t recline, but the upward angle of the rear bench does provide some welcome thigh support. The shape of X6, as you might suspect, cuts down on both rear headroom and legroom from the larger X5. The sloping roofline also makes rear seat access more difficult, requiring passengers to bend forward upon exit and entry to the vehicle. High quality leather is standard throughout and upgraded Nappa leather is an available option. The iDrive infotainment system operates on a beautiful 10.2in touchscreen with crisp, clear graphics. The control wheel now features touch compatibility, allowing you to scribble letters and numbers for a faster search function. The stock system includes a nine speaker audio system, Bluetooth capability, a USB port, navigation, and parking sensors. The audio system can be upgraded to a 16 speaker Harman Kardon or Bang and Olufsen surround sound system. Also available are a host of technological upgrades like a heads-up display, wireless charging, rearview camera, wifi hotspot, Apple Carplay, proximity key with keyless ignition, rear headrest screens with DVD player, and soft close doors. The addition of the driver assistance plus package brings lane departure warning, blind spot detection, adaptive cruise control, automatic emergency braking with forward collision warning, a nightvision camera, and automatic parking assist. Cargo capacity is abysmal at just 20.5 cubic feet with rear seats up and 53.9 cubic feet with them down. However, that’s not the point of the X6, if you need the space, the X5 has ample room with comparable performance. Few car designs have polarized the car enthusiast community quite like the X6. When it was first released, 8 years ago, many drew comparisons to one of the ugliest cars ever built, the Pontiac Aztek. Maybe the Aztek was just ahead of its time because X6 sales show no sign of slowing down. The X6 has also prompted Mercedes Benz to create the GLE Coupe to compete. Whether you like the design or not, 4 door “coupe” style SUVs are here to stay. 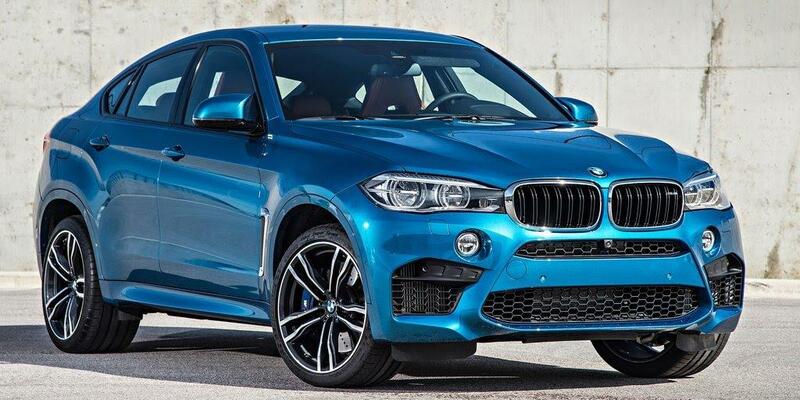 At first glance, the X6 looks like a coupe with an identity crisis, kind of like a Baja ready Beetle. The more you look at it though, the more appealing the design becomes. It looks futuristic and aggressive, a breath of fresh air in a parking lot full of square back SUVs. The M sport package further enhances this impression with larger front intakes and a shadowline trim that gives the X6 a shapelier outline. Upgraded black 20in wheels for $950 make the X6 look mean, ready to pounce. BMW cautions that the larger wheels may decrease ride comfort. If you’re looking for a personal SUV with a sleek, unique design, the X6 has it in spades. JD Power awards the X6 a 4 out of 5 reliability rating, indicating it is “Better than Most.” Consumer Reports gives the X6 a 3 out of 5 predicted reliability rating, though it is based on BMW brand’s reputation as there is not enough data for model specific rating. There has been no safety recalls by the National Highway Traffic Safety Administration for this model. Further research delivered a common complaint about the electric handbrake in the X6. Apparently, sometimes the X6’s handbrake will be difficult to release. It’s actually a result of a software problem and can be resolved with a simple software update from your local BMW dealer. For a BMW, the X6 appears to be one of the more reliable models, a huge plus. Remember that BMW parts and service are more expensive than alternative brands like Acura and Lexus, so budget accordingly. The X6 has not been crash tested by the IIHS and NHTSA, but we imagine the results would be similar to the X5. The two SUVs share the same platform and many of the same parts, so it’s not hard to imagine that the X6 excels equally in the safety category. As we’ve mentioned in other reviews, BMWs are German and therefore, engineered to a much higher standard than competitors because they are engineered to be driven at extralegal speeds. 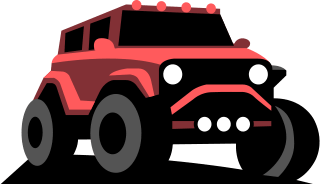 There is a reasonable expectation that these vehicles are more likely to retain structural integrity in the unfortunate event of a vehicle collision. This quality can save lives and makes these German vehicles all the more desireable. We believe the Porsche Cayenne and Cayenne S are excellent performing alternatives to the X6. Though they lack the distinct four door coupe styling of the X6, their size more closely matches the X6 than the X5. We assume prospective X6 buyers are looking for a performance oriented rather than practical SUV. As a result, the performance of the sDrive/xDrive35i will be compared with the base Cayenne and the xDrive50i model with the Cayenne S. With a base MSRP of $60,600, the Cayenne is cheaper than the X6 and includes all wheel drive standard. The non-aspirated, 3.6 Liter V6 delivers 300 hp @ 6,300rpm and 295 lb-ft of torque. The base Cayenne is considerably slower to sixty than the X6 at 7.3 seconds but makes up for it in handling. More on that later. The Cayenne S model features a twin turbocharged version of the 3.6L V6 found in the base Cayenne. The forced induction accounts for the increased power, with 420 hp @ 6,000rpm and 406 lb-ft of torque. Those numbers are quite a bit lower than the xDrive50i X6, but the 4,597 lb Cayenne S weighs nearly 700 lbs less. However, the weight difference is not enough to make up for the lack of displacement and the Cayenne S is a second slower to 60 mph @ 5.2 seconds. To get a Cayenne Turbo, which will beat the bimmer to 60, expect to pay another $50k more. So neither Cayenne beats the X6 in a straight line, why are we comparing them? Glad you asked. If you’re looking for a performance SUV, we assume handling and driving dynamics are part of the equation. Both Cayennes provide better steering feedback and a firmer, sportier ride than the X6. The Cayenne inspires confidence in every curve, making it more fun to drive than the quicker X6. The standard seats are also better because they provide side bolster support. The Cayenne will more easily accommodate two adults in the backseat as well. That said, the X6’s interior is superior to the Cayenne in nearly every way. The iDrive infotainment system and controls are way simpler and easier to use than the Porsche’s. The BMW has tons of driver assistance technology that’s not even available on the Porsche. The Cayenne is a little more practical for carrying human and cargo payloads, but the difference is only a few cubic feet. We give the edge to X6, as it provides better performance and technology for the money. However, if you’re looking for an SUV that’s light on its feet and more capable on the backroads, the Cayenne and Cayenne S are tough to beat. The base X6 starts at $62,500 for the rear wheel drive sDrive35i model. The all wheel drive xDrive35i has a starting MSRP of $64,800. Finally, the V8 equipped xDrive50i has a MSRP of $77,450. This top of line model arrives equipped with the basic driver assistance package, a $1,400 dollar option in the other trims. This package includes a rearview camera and heads-up display. The $1,700 driver assistance plus package adds active blind spot detection, surround view cameras, and speed limit info. A fuel saving stop/start function is an available option for $1,200 more. The $550 dollar cold weather package heats the steering wheel and rear rows and gives the headlights retractable washers. The $4,500 dynamic handling package boosts vehicle performance with dynamic performance control and dynamic drive with active roll stabilization that reduces body lean when cornering. The $3,250 executive package allows wireless charging, wifi hotspot connectivity, manual rear window shades, soft closing automatic doors, and replaces standard controls with deep, gloss black ceramic controls. The $1,900 lighting package furnishes all LED headlights that turn with your vehicle for better visibility on curves. The automatic high beams sense the presence of oncoming vehicles and switch on and off automatically, reducing the need to manually adjust high beams and allowing you to focus on driving at night. The $3,000 M sport package replaces the stock seats with 10-way adjustable sport seats with thigh support, adjustable side bolsters, and memory function. An aerodynamic bodykit with shadowline trim gives the X6 an appearance that matches its sporting prowess. This package also adds a sport transmission with manual mode, launch control and affixes paddle shifters to the thicker M sport steering wheel, also included. The M sport package includes a greater variety of wheels, colors, and interior trim options. Finally, the Ivory or Black Bi-Color interior design package costs $1,950 and enhances the interior with rich white or Bi-Color Nappa leather with exclusive contrast stitching and a black Nappa leather dash.